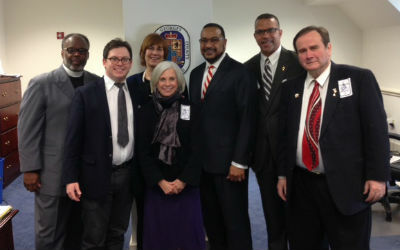 On March 11, the pastor of Accokeek First Church of God in Accokeek, Maryland, represented his congregation during testimony before the Maryland State General Assembly in Annapolis. Kevin Wayne Johnson was humbled to present the church’s plans to help bring about community transformation, even if just for a few minutes. Recently the church was one of three in their entire district to be selected to receive bond bills to enhance the lives of their neighbors. While it was certainly exciting to speak before a gathering of state senators, it was even more exciting to first hear of the funds that would come their way. But for Pastor Kevin, neither experience can compare to the thrill of new opportunities to see lives changed for the cause of Christ. Accokeek First Church of God had already stepped out in faith to reach their community. They were believing God to supply their needs as they embraced the outward-focused vision Pastor Kevin had been articulating since he accepted the pastorate a little more than three years ago. Seemingly out of the blue, the state senator for their district showed up. Unannounced, he’d stopped by the church during a literacy event for families in the community. While there, he learned of the church’s background and mission, but he was especially captivated by a computer lab the church had just opened to provide free computer training. 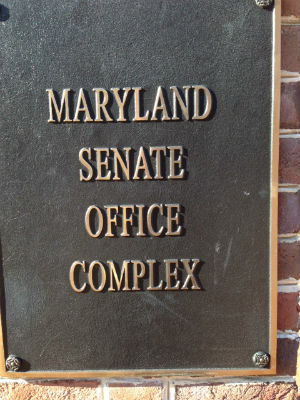 It wasn’t long before the church heard from the office of Senator C. Anthony Muse. The “Center of Excellence” at Accokeek First Church of God, made possible by these unexpected funds, will provide a hub of valuable resources for both church members and the community. Ministries of the church borne out of this new chapter of outreach in the church’s history will continue and strengthen as a result. The computer lab, the food pantry, and the adopt-a-school initiative of Accokeek First Church have already made an impact, as has the church’s own Bible and Leadership Institute for developing Christ-centered leaders and ministers. Additionally, the church’s bookstore and visitation ministries will receive a much-needed boost, and the exterior of the church will be improved to provide an even safer and more inviting atmosphere to welcome the community. Now that the church has the means, they plan to host health fairs for the community to engage not only the needs of the physical body, but also the spirit. 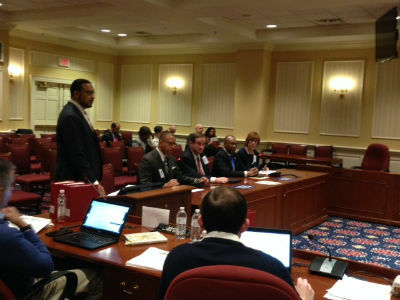 Photo: Senator Muse (standing) and Pastor Kevin (to his right) testify before the Maryland State General Assembly. In Accokeek, Maryland, across the United States, and around the world, God is on the move in the Church of God. Join the movement. Donate today at http://www.jesusisthesubject.org/join-movement/. This entry was posted in All Church of God, Northeast and tagged Accokeek, bond bills, Center of Excellence, community, discipleship, district, evangelism, faith, First Church of God, funding, funds, government, grants, Great Commission, Kevin Wayne Johnson, Maryland, outreach, reclaim your neighborhood, Senator C. Anthony Muse. Bookmark the permalink.